Gift cards shifted the paradigms of marketing and consumer acquisition when they were first introduced. At the time, such a novel idea took the retail/service industries by storm. However, through the stagnation of its development including the ignorance of its issues, through a paralysis of the system, the gift card industry has more to lose than its perceived gain. With technologies like blockchain coming forth, a propitious solution for the gift card industry may be on the horizon. The introduction of gift cards back in the 90s has changed the way we market to consumers. The idea that you could give a monetary gift expendable at a specific retailer or franchise, eases the purchasing process for the consumers. Statistics show us they’re good for business too. According to CEB, 65% of consumers spend 38% more than the face value of the respective gift card. Complementing that, the gift card market has also been steadily growing year over year as can be seen in the US, where approximately $140B are spent on the commodity every year. Amongst gift cards; digital or e-gift cards have seen exponential growth, due to the emergence and rising popularity of e-commerce itself. Almost all retailers have implemented some form of e-commerce into their business, as consumers find it a lot easier to shop online as opposed to going into the store. However, the current most popular method of using gift cards is inefficient and inconvenient for this digital age. The problem lies within the current framework of how a gift card is bought, distributed, used, and stored. Our digital lives are not complemented by the level of physicality involved around the purchase, distribution and redemption of a gift card. Gift card security, which at one point followed state of the art standards, has remained stagnant over the years. The stagnant security measures metamorphosed the once secure gift card into an insecure entity, plaguing the industry with increasing amounts of gift card fraud. Tackling physicality, e-gift cards began being implemented. However lacking measures of security meant an insecure network, which added to the fraudulency that had been synonymous with physical gift cards. A secondary side effect of e-gift card use (unbeknownst to most people) was the cost of the consumer’s privacy. With that being said, we can see how value can be lost in multiple forms, throughout various stages of the gift card framework. Mitigating all of these issues could not only restore the lost value for retailers, but also provide security and trust apart from increased value for the consumers. As it stands, there is a great divide between what is the current state of the art and with what is on the cusp of adoption. We have been transacting in a similar fashion for the last couple of decades, but with strides in cryptography and computer science we have been able to drastically change what is possible in our world. As the world moves towards blockchain solutions, the ability arises for enhancing value that lies within traditional systems. The technology is approaching a transformative point where it will be seen metamorphosing from being just an idea of decentralization to robust public adoption. This adoption will be driven by the introduction of countless use cases of traditional systems, in industries where further enhancement was thought to be impossible. Due to its transparent, secure and immutable qualities, blockchain technology has the ability to provide an eloquent solution to the pressing issues surrounding the gift card industry. The current system of gift cards affects two distinct markets: retailers and consumers. The system and all its current inconsistencies surrounding, has given birth to many deficiencies that have been identified, but left ignored due to a paralysis of the system itself. Within these 2 markets loss of value occurs in 2 ways: gift cards being physical entities and the compromising of gift card security leading to fraud. For retailers, traditional gift cards can cost up to $1.60US each along with monthly hardware maintenance and upkeep costs. Physically issued gift cards have the probability of being lost or given to an end user that has no intention of using it. There is also the possibility of the gift card not being fully consumed due to its finite value. Furthermore, the loss of value through the defined physicality of gift cards exposes consumers to the issues that are intertwined with those of the retailers. Consumers might end up with a card they have no interest in utilizing, or they might not partake in the full expenditure of the gift card value, resulting in a partially spent commodity. The loss of value is further amplified when these cards are lost or their whereabouts are forgotten. In those cases, there is no actual way of amending the lost value through either the giving or selling of the gift card, to someone who intends on using it. According to Finder, over $140 Billion (US) are spent on gift cards yearly in the US and about $1 Billion goes unspent. Furthermore, there are over $45 billion of accumulated gift cards that have not been spent since 2005 – in the US alone. Accounting wise, these unspent commodities get termed as “recognized revenue’’ and act as a liability on the balance sheet of the respective retailer. Apart from the physicality of gift cards, another major avenue of lost value is gift card fraud. With debit and credit cards being introduced with chip technology to increase security – gift cards on the other hand have continued on with the magnetic stripe. Typically, a gift card is manufactured with a 16-19 digit number which is encoded on the magnetic stripe. This number is the identity of that specific card and can be used to either load or redeem the card. In some cases, this is complimented with a 4-8 digit PIN – hidden under a scratch off panel on the back. This addition is supposed to provide more security as it can also be used to redeem or check the balance on the card. A key factor to note is that, right from the issuing merchant’s gift card processors through the chain of distributors, retailers and finally to the consumers, the identifying codes of the gift cards do not change. During the exchange, each party is trusted to ensure the codes are safe from replication or theft. However, that utopian expectation is often times breached leading to unhappy consumers and reduced margins for retailers. Not only is gift card security extremely low but the investigation of the fraud is very difficult to undergo. Gift card balance theft is not often pursued due to the lack of evidence pertaining to the ownership of the card. Figure 2: Once the gift card has been compromised, it doesn’t get detected until the end user tries redeeming it. The notion of losing a physical gift card was offset by the introduction of e-gift cards. The latter is simply a combination of codes, as mentioned before; but without the physical card itself. E-gift card growth can be attributed to the increase in the conductance of e-commerce itself – over the last decade. With almost all retailers having integrated some form of e-commerce to their businesses, it was only a matter of time before e-gift cards began going mainstream. Even though, currently more than 85% of gift cards sold are physical, e-gift card adoption has been increasing significantly faster than their former counterparts. According to Kount, the virtual commodity is growing at a rate of 200% annually compared to just 6% for physical cards. However, in the process of utilizing online services to spread the joy of gifting, e-gift cards have been plagued with the same fraudulent mechanics that almost all digital entities are inexplicably susceptible to. This coupled with lack of security measures being implemented in either their creation or distribution has made way for increased fraudulent activity when compared to the traditional gift card system. Furthermore, unlike in the past, nowadays, it has become a lot easier to liquidate the stolen gift cards into cash, through various online websites – without having any other intermediaries getting involved. According to The Huffington Post, “Gift card fraud is a trillion dollar epidemic – [ money laundering]”. Canada itself will experience this gift card loophole to launder between $5B – $55B of organized crime money into the country. Along with that, e-gift cards were the most targeted product for fraud attacks between Black Friday and Christmas in 2015. 9.5% of all fraud attempts that were conducted online – out of all the products sold by a leading payment processor’s merchants – were on downloadable e-gift cards. Diving deeper into e-commerce, it can be seen that there are some aspects that are often overlooked behind the veil of getting the best deals online. One of the byproducts of consumers interacting with e-commerce platforms online, is the creation of user data. Irrespective of the type of interaction, user data is almost always created and stored due to its potential of being monetized in the future. This can lead to non personally identifiable information (non PII) to be sold to third parties for advertising or marketing purposes. However, retailers love this user data because it helps them drive targeted advertisements. The retailer ends up getting a much higher click through rate on their adverts, as the consumer is targeted with that very product, that they have been recently eyeing. However, even though it may seem that both parties are benefiting from this, one of them pays a greater price than the other. That price is paid by the consumer in the form of their privacy. The privacy concerns that arise is that, the non PII data that is collected can be de-anonymized and re-constructed to trace back to distinguish the individual user. This can be done by tracing back to the IP address recorded from online activity which can then be used to further profile that specific user. Due to this, the use of non PII data in our current social ecosystem has raised some strong concerns with lawmakers. This is a evermore pressing issue as our world becomes more personalized. Due to the insecurities and costs of doing business as mentioned above, traditional gift card systems may often be unfeasible for certain retailers to implement and be a turn off to a well informed consumer. However, with advancements in new technologies like blockchain, a revamp of the gift card industry may be around the corner. Blockchain is a vast record of the transfer of information in a peer to peer fashion. Any information that is stored on the blockchain is time stamped and linked together like a chain. In the most basic sense, this chain of information that is created is all stored in a distributed ledger, which allows anyone to see anything, on the blockchain. This inherently means that nothing stored on the blockchain is owned by anyone, and that there can be no single point of compromisation, that could lead to information loss. Any attempt to change any previous block would either cost a lot of money, or be impossible due to the consensus algorithms that have been implemented. All of this builds up to blockchain’s most reputed characteristics: immutability, decentralization and privacy. Insecurity and inefficiency are 2 overlying factors that plague the gift card industry. Blockchain’s immutable nature gives gift card systems a whole new level of security. This is done by eliminating the middle entities of gift card production while concisely combining them within one infrastructure. A gift card that is created on the blockchain is recorded on the general ledger which acts as the repository of all gift cards. When a consumer purchases that very gift card, a transaction occurs, which then transfers the ownership of that gift card to the consumer’s blockchain address. At this point the consumer is free to use or gift the card to whomever they choose, provided the receiving entity also has a blockchain address. So from the inception of the gift card to its final end user, the only intermediary the gift card had to go through, was the retailer. In other words the need for a processor and distributor was swiftly eliminated. Along with that, in order for a fraudster to hack and steal the created gift cards, they would need to physically change all the nodes and the corresponding hashes to those nodes – that were created on the blockchain. An attempt to change any part of the chain would mean that all consecutive links or nodes would need to be altered.This is inherently impossible to achieve due to the the specific consensus mechanisms at play. As mentioned earlier, traditional gift card systems cost the retailer approximately $1.60 (US) per use. This is excluding any upfront hardware/software costs that the retailer would need to pay for them to implement a gift card system into their business. A transfer of a gift card on the blockchain is a transaction between 2 blockchain addresses. Every time a transaction occurs, there is a fee paid by the issuing party that is used to host that specific transaction. This fee is in the order of a couple of cents which is an order of magnitude lower than current traditional gift card costs. This results in a lower cost of doing business for the retailer, which evidently opens the gift card realm to smaller businesses, who previously could not afford to have such a system. Digging a little deeper, we see that a blockchain address does more than just act as a storage unit for your gift cards. Perhaps the most valuable prospect of blockchain technology and hence a blockchain address within the gift card industry, is the ability to preserve a consumer’s identity. As noted earlier, interactions with retailer websites amongst other things creates user data that has the potential of being monetized by third parties. However, instead of targeting ads to users based on the collection of non-PII data linked to an IP address, retailers can instead target consumers based on non-PII data linked to a person’s blockchain address. This way, even if de-anonymization techniques are used on the data, it can only be traced back to the person’s public blockchain address. The idea here is that there is no need for the retailer to know any other personal information about the user in order to create effective, targeted ads. Recent news has revealed that organizations like Facebook have enabled third parties to collect data from Facebook users so long as they receive the required permissions. Further, the potential of a data breach would allow personally identifiable information (PII) to be leaked to the public, which is a conclusion that would not be possible if the proper measures were implemented on the blockchain. The flexibility of blockchain technology makes it integratable amongst current systems. Even though the use of e-gift cards is rising exponentially, we simply cannot ignore the current mammoth of the industry that exists as the physical gift card. It would be naive to think that the solution to the issues surrounding physical gift cards is transitioning them over to a blockchain and making them digital. At times, physical gift cards are preferred over digital ones, due to various reasons. Key attributes of cryptography can be used to make physical gift cards more secure – apart from the key hardware fixes like introducing chip technology to them. 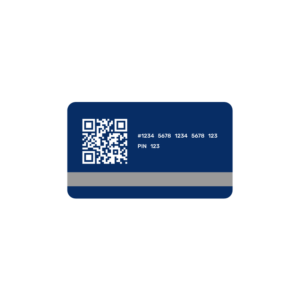 Cryptographically, a physical gift card can become more secure through multi signature encryption of the identifiable details of the card. The unreadable forms of data can get turned into readable ones once decrypted by the blockchain, on the retailer side. Through this type of encryption, loss or duplication of information can be significantly reduced. However, it should be noted that this solution will live as long as physical gift cards reign supreme. Once that reign is over, systems and procedures will change yet again. What won’t change however is the constant drive for an ever secure future. The gift card industry is at a tipping point in terms of the realization that the rising popularity can come at a rising cost of doing business. The adoption of e-gift cards can be exponentially ameliorated through the use of some of the core characteristics of blockchain technology. Specifically, the immutable and decentralized nature of the technology that can aid in the solving of the age old problem of fraud amongst gift cards. In the near future, e-gift cards will supercede physical ones as both consumers and retailers realize the potential and convenience of built-in marketplaces, including seamless yet secure ways of interacting with these commodities of value which don’t involve the sharing of identifiable information with third parties, all while reducing costs of doing business.